He was great with explaining everything. I am satisfied with my service and my technician. Very courteous and professional staff!! Tech Jason Webb is always on time, and does an excellent job. And he is very respectful toward me and my family. We love the personal service and all the power of a national company to back up their promises. Terminix is a company I trust with all my extermination needs. Wouldn't use anyone else. Very thorough when performing task. Great communications for scheduling and following summary report. everytime I see a bug or 10 I call they come back as many times as you need. Technician is knowledgeable and professional as well as willing to help homeowners protect pets. Jason has always been great ! Very professional, prompt and informative service. 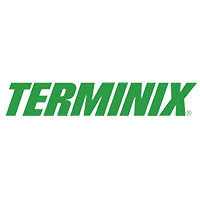 I highly recommend Terminix scheduling staff and Mr. Webb at Terminix in Greenville. If you have ants, pests or termites let the professionals at Terminix handle it. Simon, my exterminator, is doing a great job! Good thorough service good inspection and knowledgeable good company. The two employees that I met at my house were professional and informative. Knowledgeable and polite service technicians. Initial evaluation was amazing! Unfortunately it took them a week to come out after that initial evaluation. Used their services over 20 years, and very pleased. Seem to be having some issues with our pump under the house. Everything else seems to be working fine. Great response to ants in house and treatment has been very effective. Quality experience with terminix. Prompt, courteous, knowledgeable, and professional. We are very happy with the protection they provide for our home. Yes we are happy with the service Terminix provided the church. Haven't seen the one who inspects the work yet but that don't mean they haven't come. I am please with my service from each one of the people who service my home. Thank you for taking excellent care of my needs.